How do you take your Coffee? With milk, sugar or paper? A Ristretto provides the smallest amount of coffee on the list. 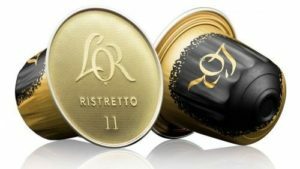 A Ristretto is a “shorter” espresso as it uses less water, so much so that most coffee shops only offer double Ristretto shots. 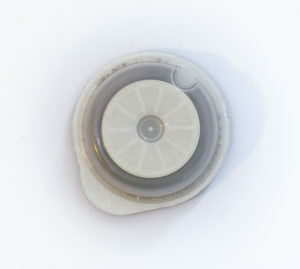 At home, a Ristretto can be made using an aluminium pod such as the one shown, using our paper inside! Espressos are almost like Sambuca shots of the coffee world. Small but strong, with enough caffeine in them to get you through those morning emails. Brewed under pressure, the espresso has a slight foamy head or crema as it is known. Made using our paper, a Easy-Serve-Espresso (or ESE pod for short) placed in an Espresso machine can make a professional standard coffee. Named after the Italian way of saying “American Coffee”, an Americano is an Espresso shot of coffee mixed with hot water. Did you know? There’s a popular belief that the name has its origins in World War II when American G.I.s in Italy would dilute espresso with hot water to approximate the coffee to which they were accustomed. Some of the best Americanos are made using the K-Cup (you guessed it, with our paper inside) to give a strong but smooth taste. 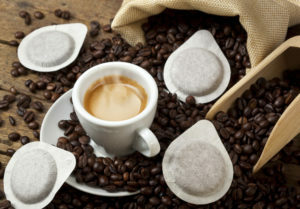 Black Coffee, similar to an americano, is a coffee with a bitter taste and preferred by psychopaths according to one study. It has nothing added to it! no milk, cream or sugar, just the coffee and hot water. 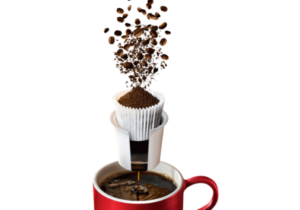 Senseo pods are a product currently on the market that creates a high quality cup of black coffee. 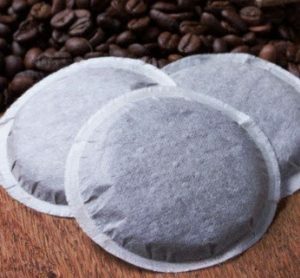 Like many of the coffee pods mentioned in this text, the paper used to create a Senseo pod is developed by Union Papertech. A Cappuccino is like the Espressos brother in a wig. A Cappuccino is an Espresso with steamed milk and wet foamed milk on top, giving it a lighter taste. 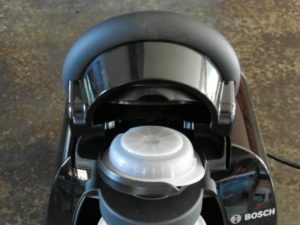 Cappuccinos can be made using separate Tassimo pods, splitting the coffee and milk. These pods also use paper engineered at the Union Papertech, Simpson Clough Mill. “Livin da vida mocha” as Ricky Martin once said (we think). A Mocha is a mixture of a hot chocolate and a Cappuccino. It’s made using 2 espresso shots, 2 ounces of hot chocolate, one ounce of steamed milk and a thin layer of milk foam on top of it. Tassimo also produce pods for making Mochas, splitting the coffee and chocolate elements into two pods. So many coffees and so little time So… how do you take your coffee?